We design and build beautiful garden beds. Are you looking for a great way to make your property stand out for all of the right reasons? Beautifully designed and maintained garden beds are a great start! Everyone can appreciate a beautiful garden, but there are many homeowners and property owners that don’t know how to actually create them or where to start! Creating beautiful gardens can takes years of experience not only in plant identification, but also how to plant what plants where, and what plants they are compatible with or compliment, and don’t forget how to properly care for the gardens too! Alan’s Landscaping and Heather’s Gardens (ALHG) is a family owned and operated landscape design and construction company based out of Ottawa. We specialize in custom gardens and garden bed designs. 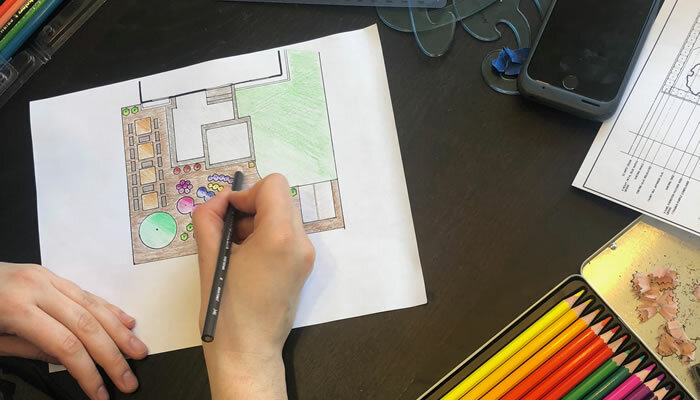 Heather is our in-house landscape design specialist, and Alan is the construction brawn that can build Heather’s designs into the real life version! Whether you want colourful seasonal gardens around your property for maximum attention, or something that is simple and low maintenance, like a xeriscape, we’ll be able to help you design and build an amazing garden on your property. 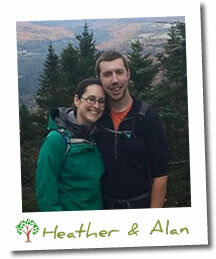 Why Choose Alan and Heather To Design Your New Garden Beds? When you choose ALHG for your new garden bed designs you are partnering with a small, locally-owned, family-run landscaping business. With Alan specializing in construction and Heather specializing in landscape design, they are the perfect team to help you design and build some beautiful gardens for your Ottawa property. The ALHG team is large enough and experienced enough to design gardens of all sizes, but we’re still small enough to give your new garden the specific care and attention it needs to make the big impact on your curb appeal that we’ve promised. We believe in providing great service and value along with complete customer satisfaction with every project we complete! We will conduct ourselves like true professionals on your property at all times, leaving no trace behind but your beautiful new gardens. If you’d like an estimate for garden design services please give us a call (343) 262-4769 or fill out our contact form and we’ll get right back to you.